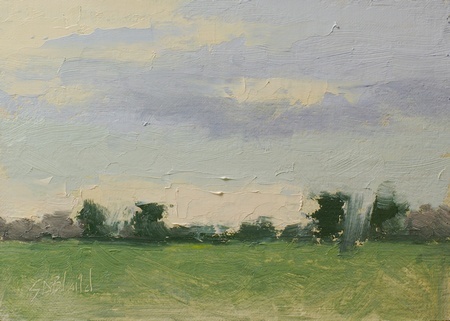 A plein air painting of the front field at Meadow Grove Farm in Upperville, VA. This was painted as a study of the sky. 5x7, Oil on linen panel. Unframed.